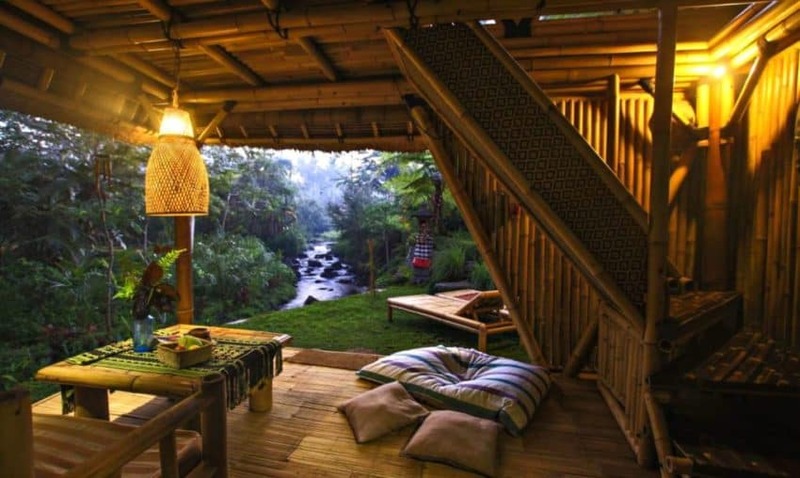 Travelers who like to enjoy nature will enjoy this beautiful bamboo retreat. 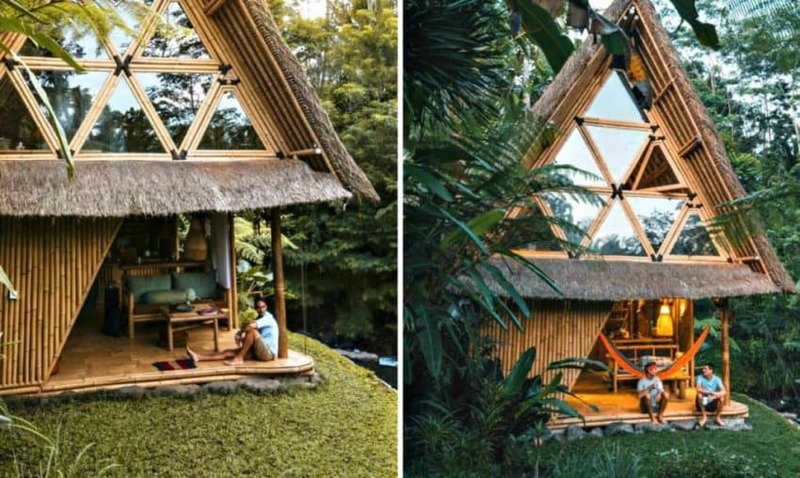 Hideout Bali Hut, designed by Jarmil Lhoták and Alena Fibichová, is located along a quiet riverside and is within walking distance of picturesque rice fields, allowing guests to experience the Balinese countryside. 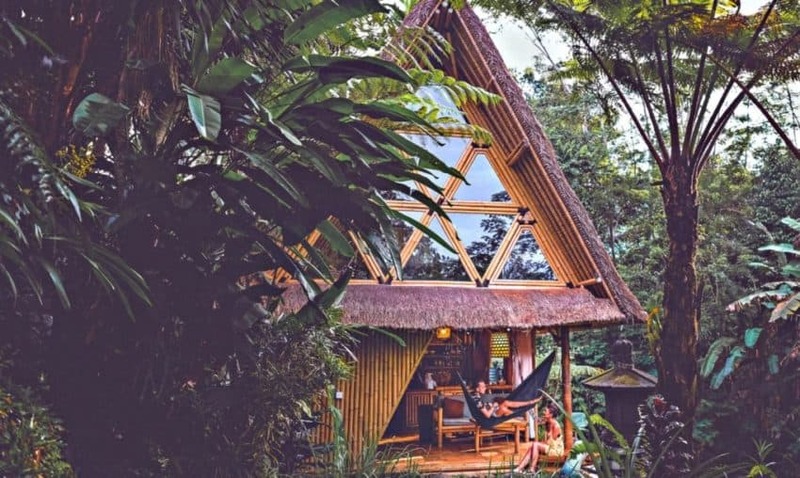 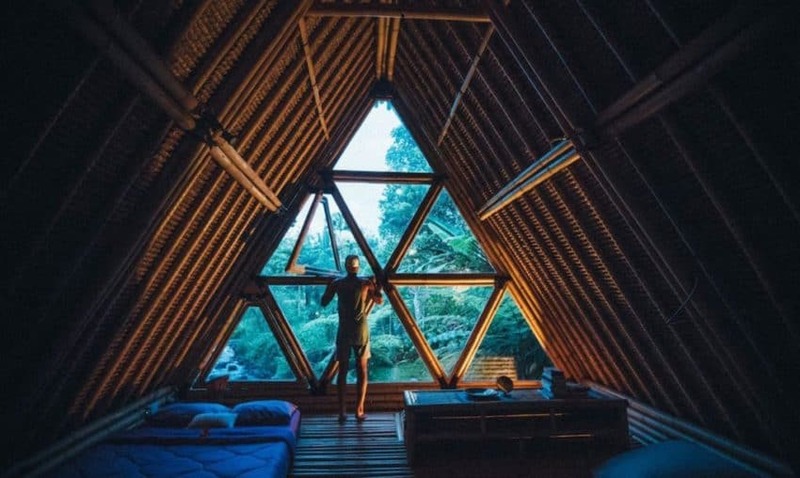 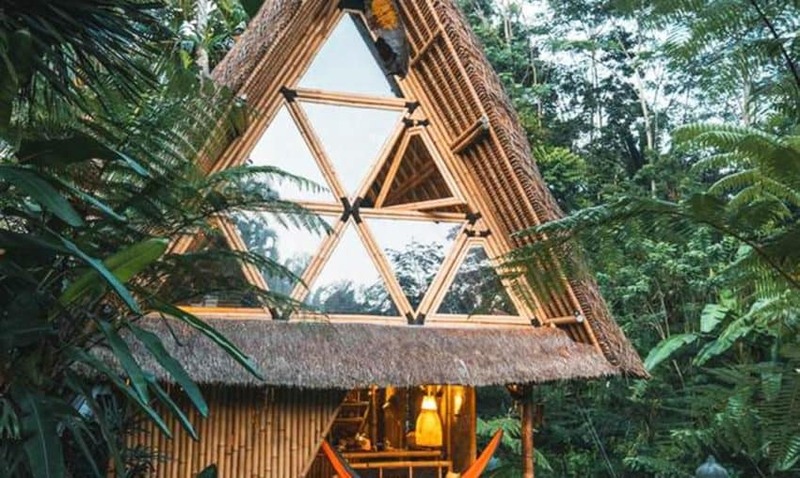 Hideout is an eco-lodge, unique for adventurous travelers, hidden in the mountains of the Gunung Agung volcano. 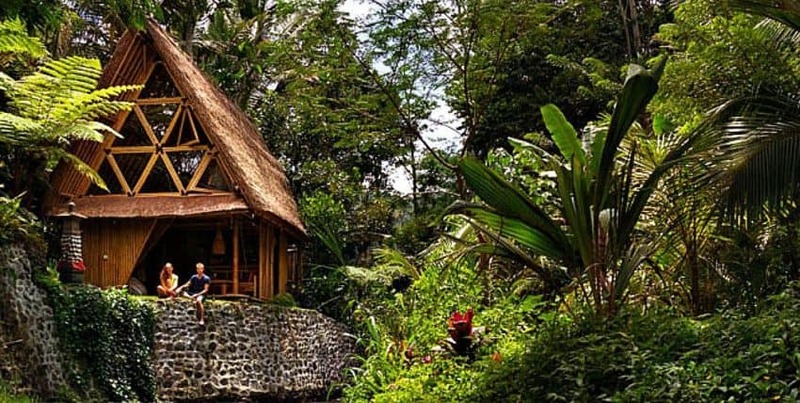 It is not an experience like any other and neither is it a luxury hotel. 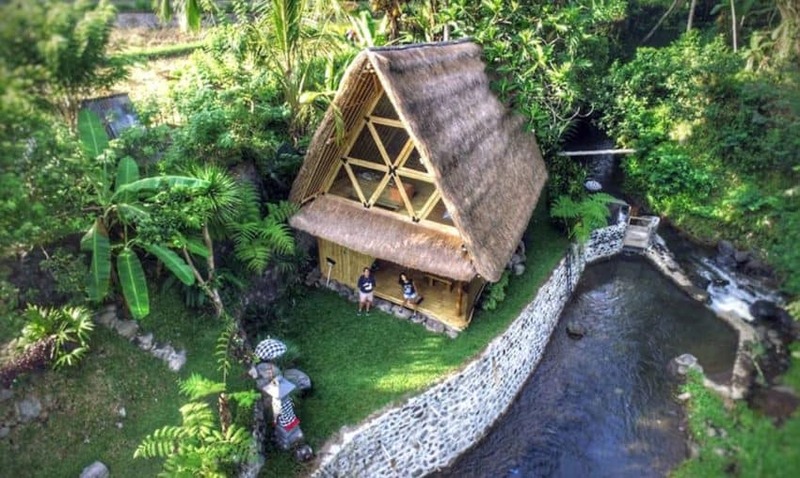 It is a place designed to offer a truly adventurous experience, a rustic and authentic place right in the middle of the life of the Balinese village. 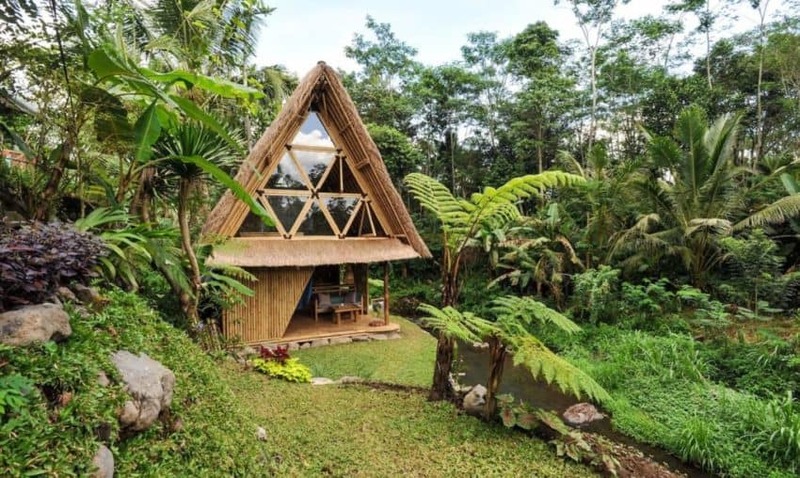 Here, long-term travelers, nature lovers, spiritual people, trekking-lovers, backpackers, artists, musicians and eco-enthusiasts are welcomed with open arms to share this wonderful Bali experience. 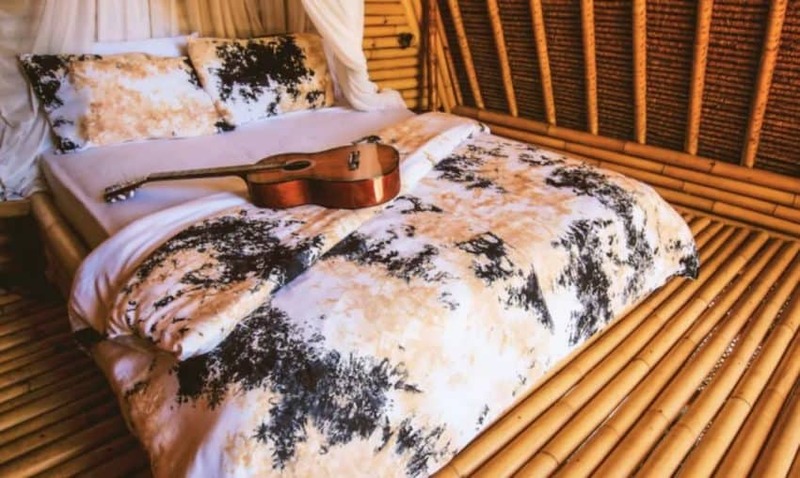 Environmentally minded guests who treat this home with love and care are especially appreciated. 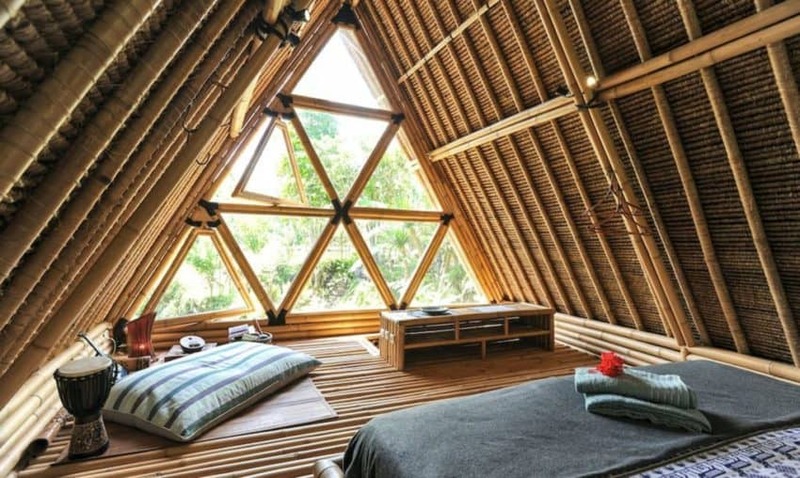 This cabin is made entirely of bamboo of local origin. 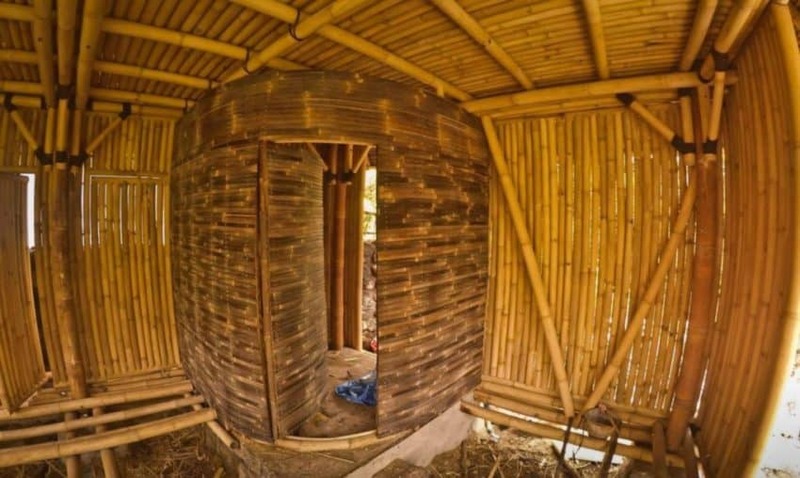 Jarmil Lhoták and Alena Fibichová used this sustainable material to create an incredibly durable structure with a low footprint. 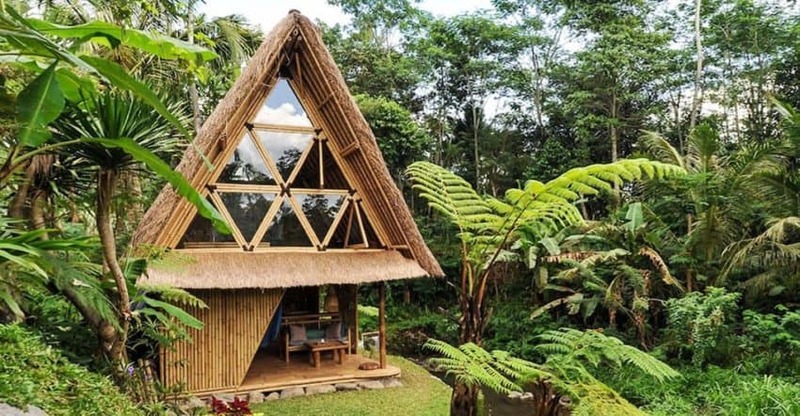 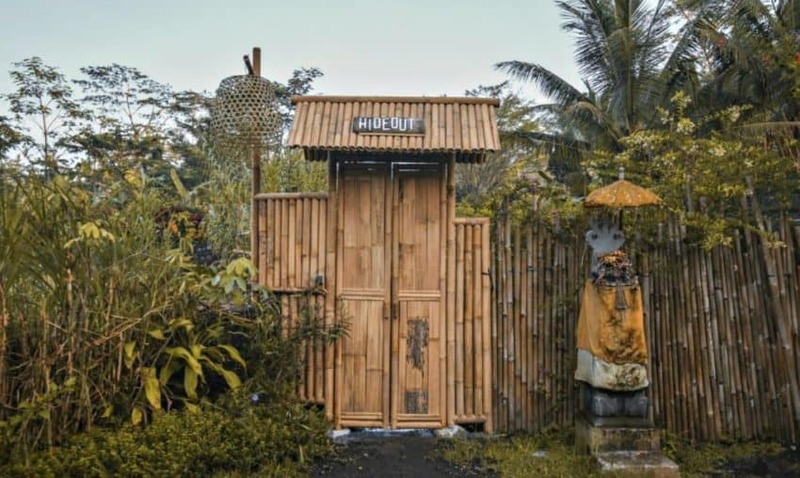 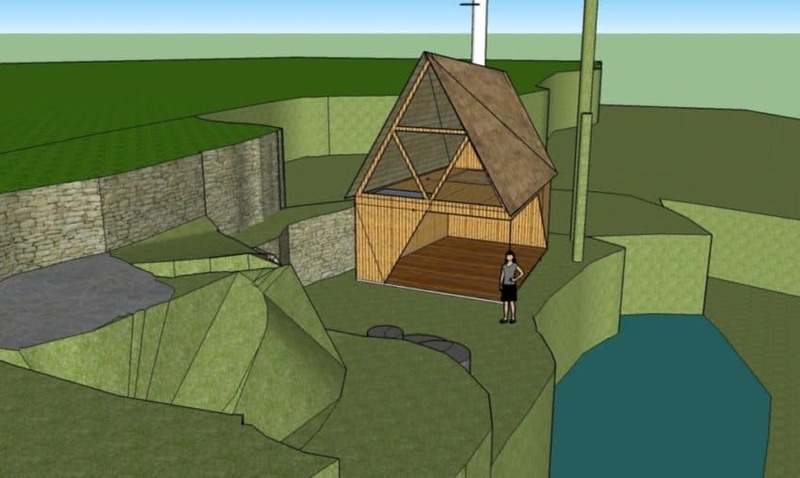 The bamboo used in the Hideout building is located in the nearby Karangasem Mountains and is considered one of the best types of bamboo for construction.